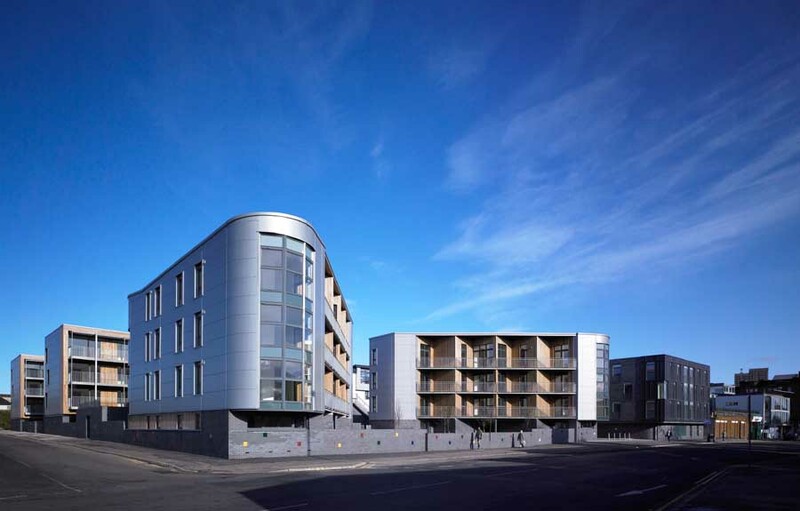 PagePark Architects worked with MPHA to produce the Graham Square housing and streetscaping project, completed in 1999. This is in the east end of Glasgow, just off the Gallowgate. This project was to create a new neighbourhood, with 3 new housing developments, involving 3 architects: Page/Park, Richard Murphy and McEwen Alexander Architects. A listed façade and archway existed on the site and these were incorporated into the design. These structures were part if the historic Glasgow meat market. 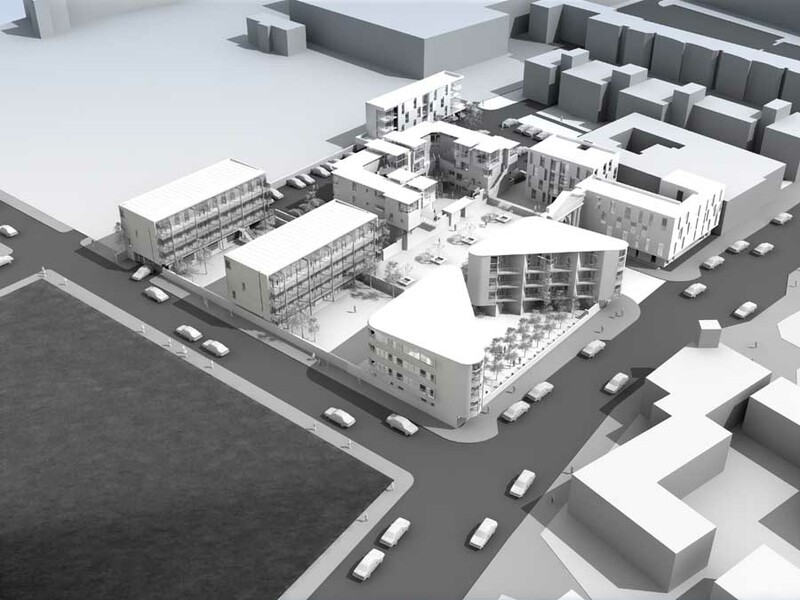 MPHA set up an architectural competition between 4 architects to produce a masterplan for a site adjacent to the Graham Square development, in 2004. This is the Moore Street Housing development. The site is bounded by Melbourne Street and the Gallowgate. 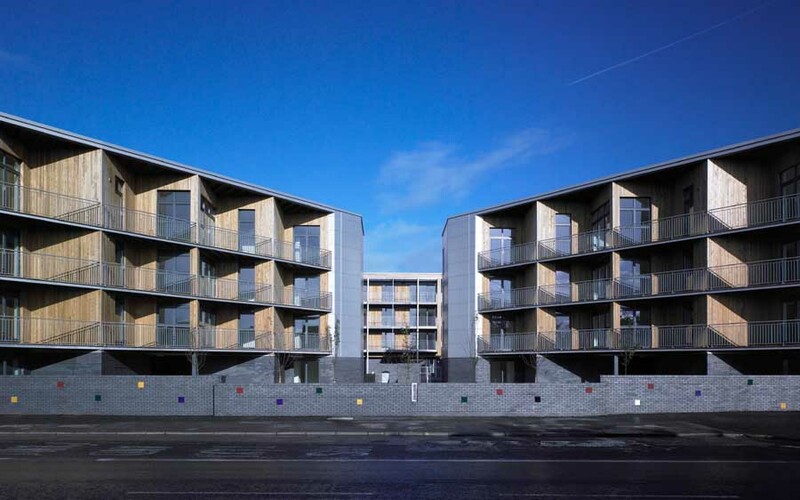 The brief was to provide social housing of approx.100 dwellings. Richard Murphy Architects (RMA) won the competition with their masterplan. This was a series of housing blocks arranged around private courtyards, with a central, more public, courtyard being the focus. Four Architects were then allocated a site within the masterplan to develop their housing designs. 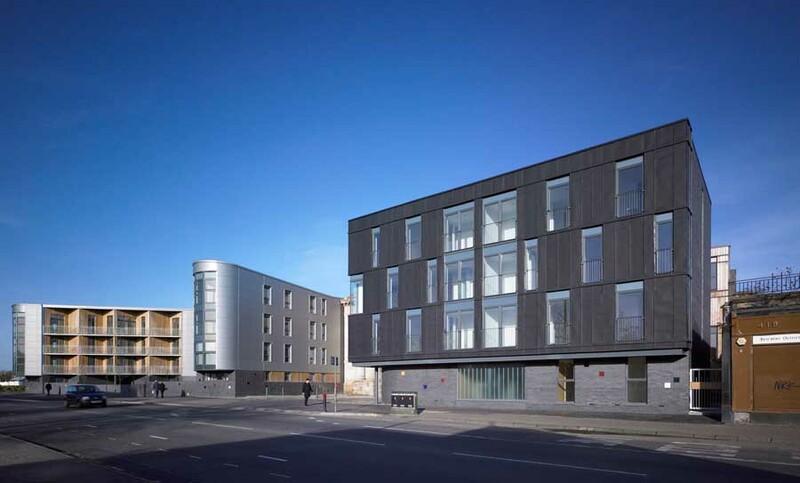 These architects were Richard Murphy architects, PagePark, Elder and Cannon, and JM Architects. 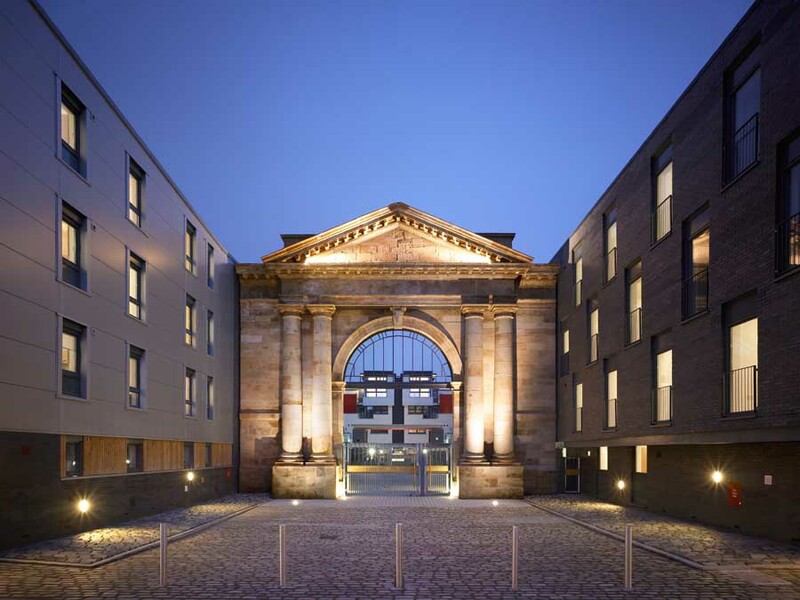 There is a listed archway on the Gallowgate side of the site which had to be retained and incorporated into the proposals. This was also part of the old meat market. 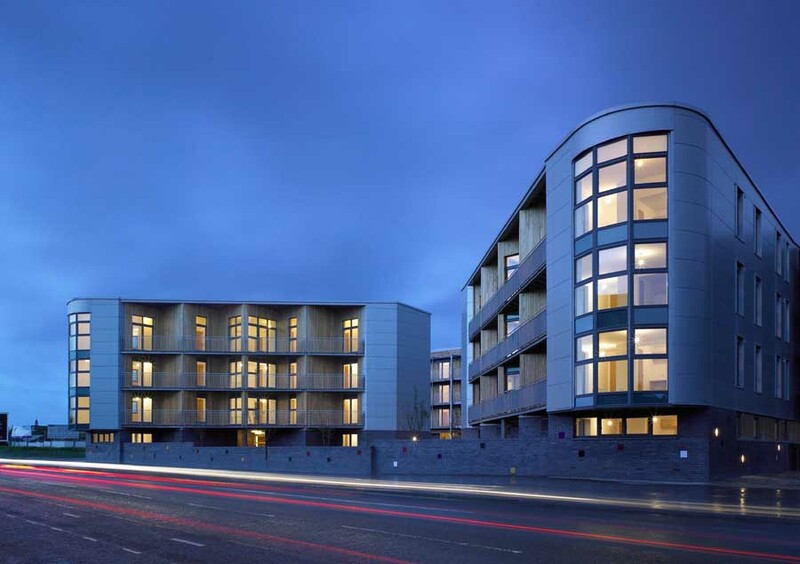 RMA and each of the other architects were allocated a site, with the brief to produce approx 24 flats. The PagePark site is on the corner of Melbourne Street and Gallowgate. 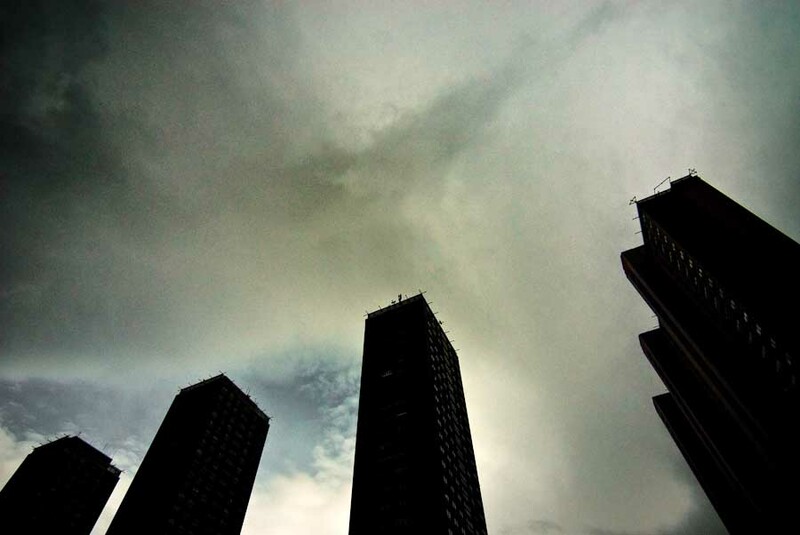 The design of the flats is based on 2 symmetrical blocks, arranged around a private courtyard, with 11 flats per block. These are triangular in form with a stepped south elevation. 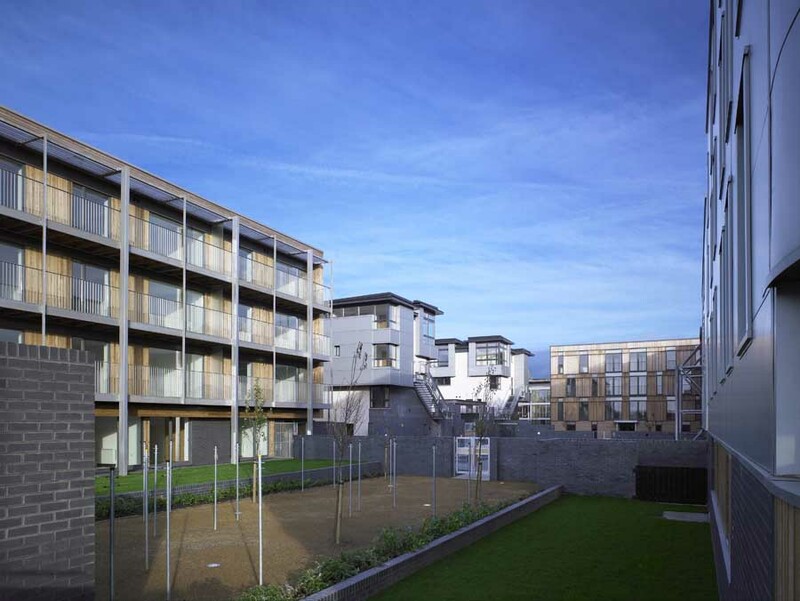 The plan was developed so that the bedrooms and bathrooms are to the rear and sides of the blocks, with the living spaces to the front, all being south facing and having access to a balcony. At the Gallowgate edge of the blocks are curved bay windows. These are a modern take on the traditional Glasgow tenement bays. The construction is load bearing concrete blockwork with concrete floors. 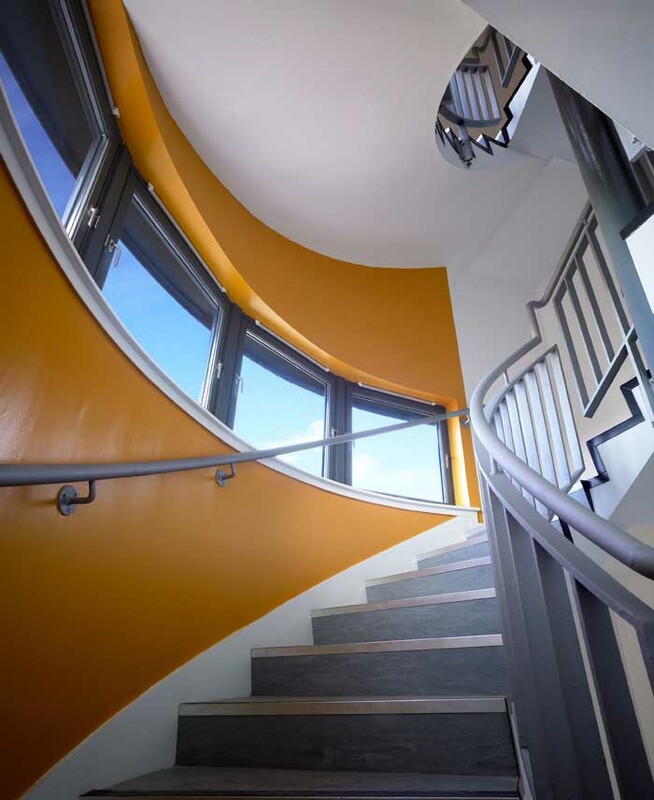 This high thermal mass construction, with the insulation on the outside allows for the ‘tea cosy effect’ with thermal performance. This means that in the winter the heat is keep inside the flats and in the summer the heat is kept out. This reduces the costs for heating and cooling. Also this type of construction has excellent acoustic and fire separating qualities. The project has rear and side elevations clad in silver metal cladding. 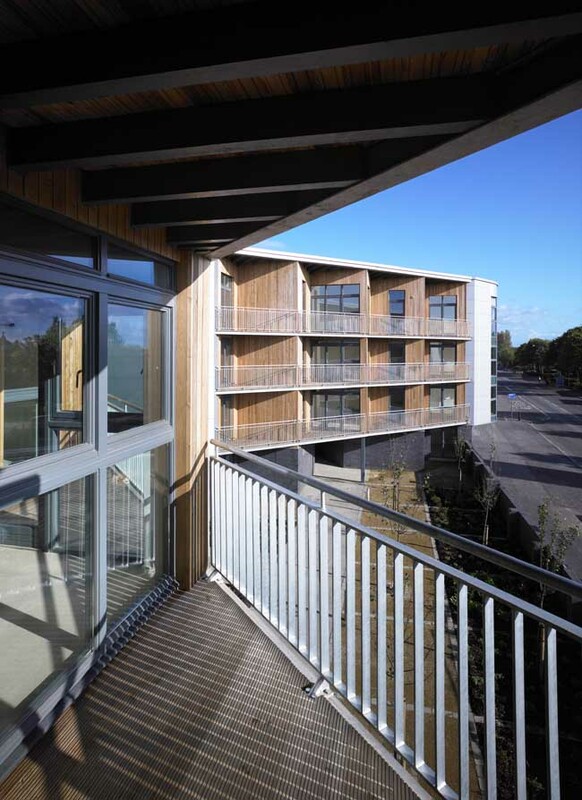 The south elevation is finished in larch cladding, which gives a softer feel to the private outdoor balcony spaces. The roof is pitched profiled metal. The ground floor level is finished in a blue brick, interspersed with coloured glazed bricks. This treatment is continued around the whole development, including boundary walls, to give the project a unity.